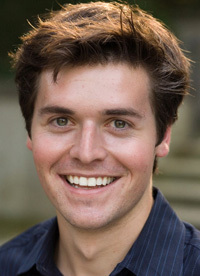 Edward Larkin, a biological sciences major from East Lansing, Mich., has been named valedictorian of the 2011 University of Notre Dame graduating class and will present the valedictory address during Commencement ceremonies May 22 (Sunday) at Notre Dame Stadium. 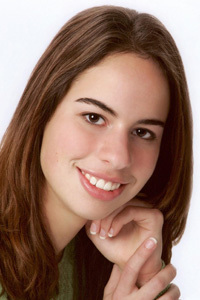 Larkin, who also carries a supplementary major in classical civilization, earned a 4.0 grade point average. He is an active member of the Haiti Working Group at Notre Dame and writes a bi-weekly column for the Observer student newspaper in which he expounds on the intersection of science, technology and society with a special focus on the cultural and social implications of modern scientific advances. Larkin has been conducting research on cancer cell metastasis in the laboratory of Dr. Crislyn D’Souza-Schorey, an associate professor of biological sciences with an appointment at the Mike and Josie Harper Cancer Research Institute. He participated last year in the prestigious summer undergraduate research program at Cold Spring Harbor laboratory studying developmental neuroscience. Larkin will participate this summer in Harvard University’s program in Olympia, Greece, to explore cross-cultural interaction between East and West from antiquity to present. He has deferred his admission to the Yale University School of Medicine for one year so he can pursue a M.Sc. program next year at the London School of Economics in philosophy and public policy. He plans to study and write about end-of-life issues during the program.